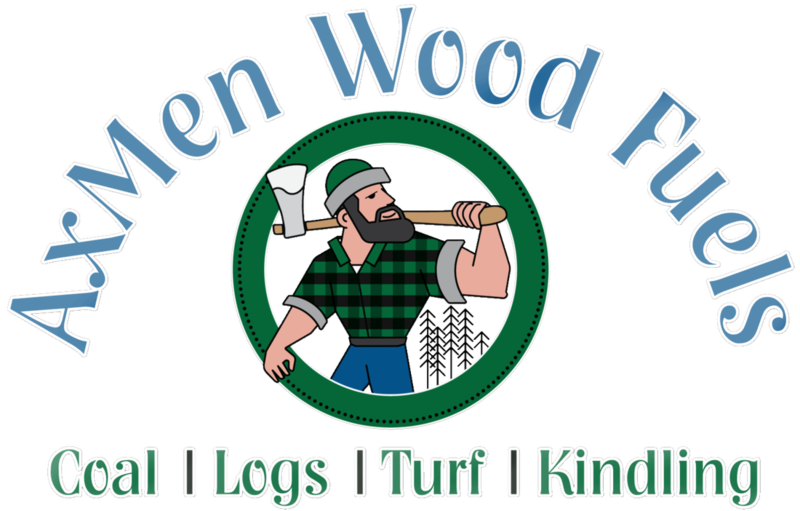 ​AxMen WoodFuels supply quality firewood, kindling and turf, with delivery service to customers in the Leinster region. We supply to private households, shops, petrol stations and other fuel merchants. Our products are available in net bags, plastic bags and tonne size bags. We also provide a firewood processing and log splitting service on a commercial basis, so other firewood businesses can get their timber processed in the comfort of their own yard. Burning wood logs is the ultimate carbon neutral way to heat your home. It leaves no dirty emissions polluting the environment and is a renewable resource coming from sustainable forests. ​Dried logs leave very little ash which once cooled can be added to your compost bin. ​All our timber comes from sustainable native Irish woodlands. 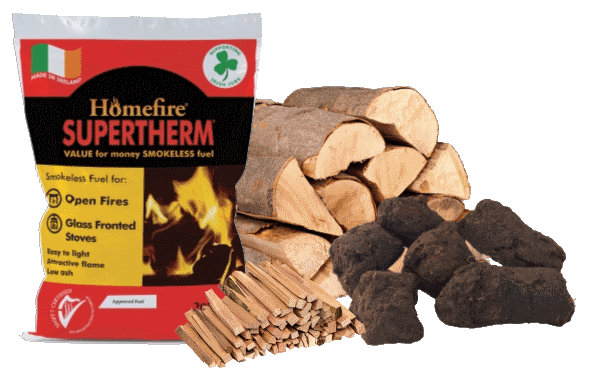 It is cut and split and left to air dry until it reaches a moisture content of 20%, making it ideal for burning on stoves, open fires, biomass boilers and barbecues. ​Get a great deal on our home heating fuels. We have stood out amongst our competitors for years due to our traditional production methods and gleaming customer service. Our firewood is produced and dried on-site to guarantee the highest levels of quality control. ​We offer the most affordable dried mixed softwoods in Ireland, because our dry on site method costs much less for us than it does for our competitors. Significantly prolongs the life of your burners, boilers and heating systems. All our firewood is FSC Certified from responsibly managed woodlands meaning we can ensure future generations benefit from using wood fuels.